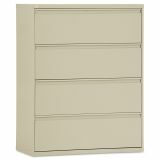 Alera Four-Drawer Lateral File Cabinet, Letter/Legal, 42w x 19-1/4d x 53-1/4h, Putty - Drawers with side-to-side hang rails to accommodate letter/legal hanging files. Full drawer extension on steel ball bearing telescoping slide suspension. 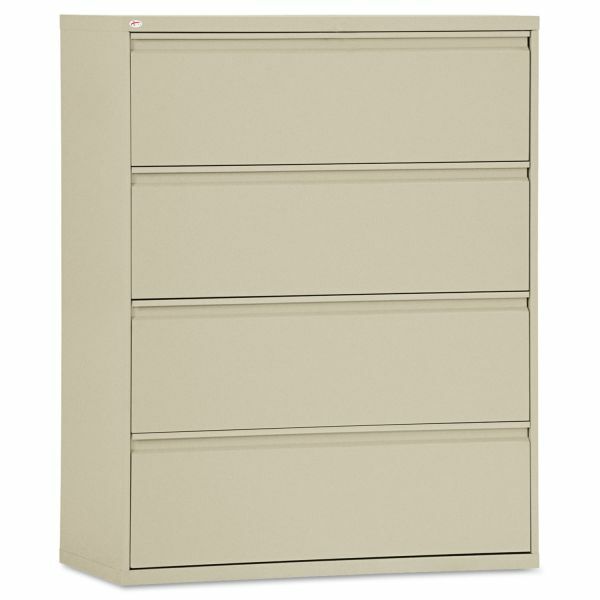 Stylish full-width radius edge recessed pulls. 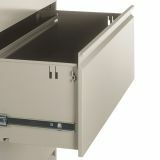 Anti-tipping interlock system allows only one drawer to open at a time. Single key core removable lock with two keys.